CES 2010 Ion, a company best known for its USB turntables and cassette decks, has introduced a Qwerty keyboard add on for... the iPhone. 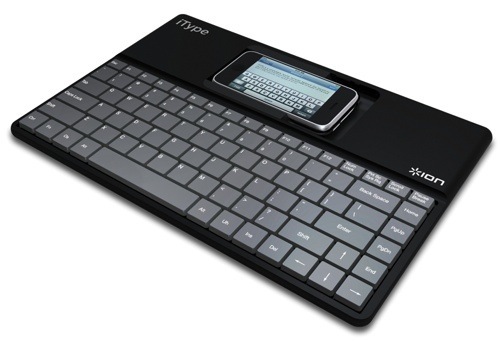 No mere clip-on BlackBerry-style mini keypad, the iType is a near full-size board with a space in which to sit the handset in landscape mode. The iType has its own battery, so won't drain the phone's own power pack. Quite the reverse. Since it connects to the iPhone's docking port, it should charge the handset. 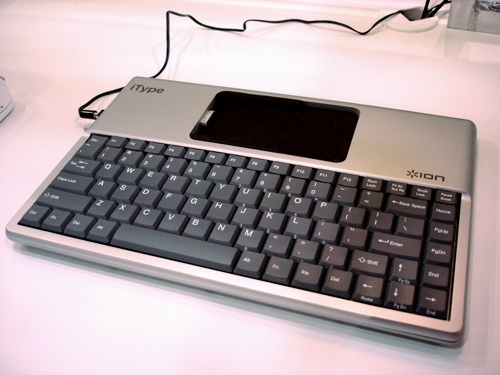 At CES, the company had two prototype iTypes on show: one silver, one gloss black. 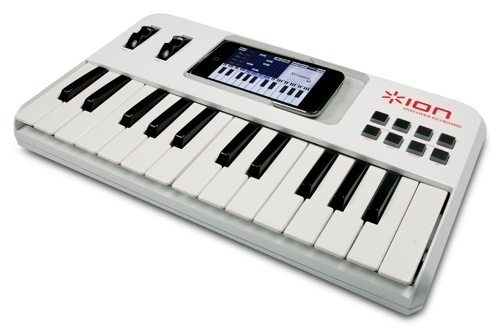 Ion's using the same basic design in its iPhone-friendly piano keyboard accessory, iDiscovery Keyboard. It comes complete with pitch, modulation and a stack of other controls which interface directly with the keyboard tutor app the board is designed to operate with.